Mariners Team Stores will hold several exciting events to get you in the Holiday spirit. Looking for that perfect gift for the baseball fan in your family? 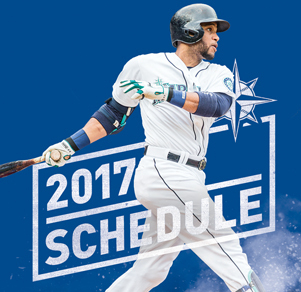 Be sure to stop by any of the five locations at Safeco Field, downtown Seattle, Alderwood Mall, Southcenter Mall and Bellevue Square. 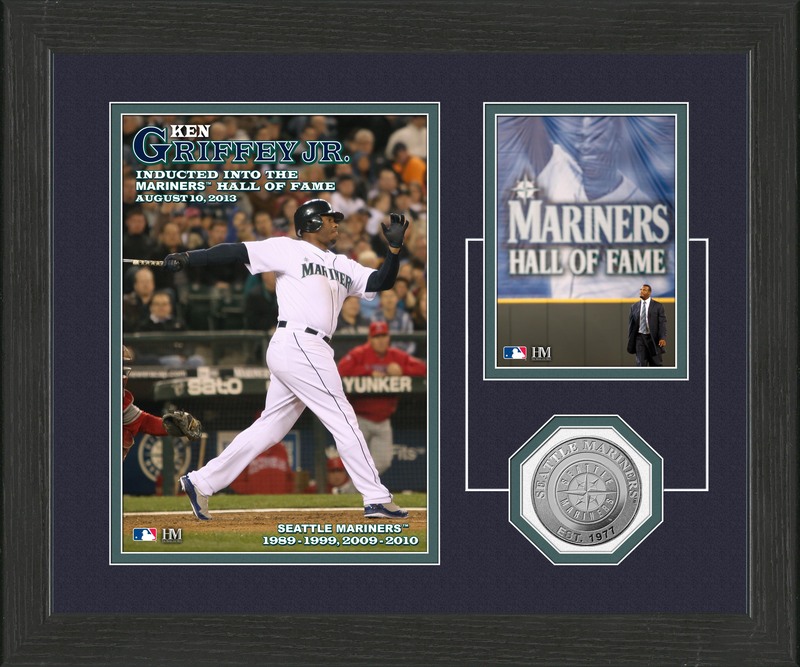 Beginning today, receive a FREE Ken Griffey Jr. Hall of Fame Commemorative Photo Mint with a $75 merchandise purchase. 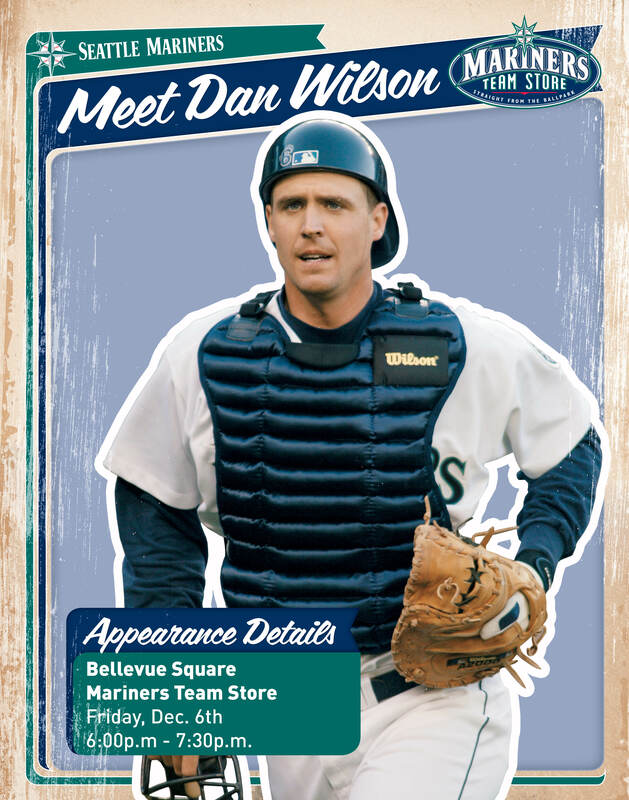 Meet Mariners legend Dan Wilson on Friday 12/6 from 6:00-7:30 pm at the Bellevue Team Store. Host Rick Rizzs along with special guest Mike Blowers will have interviews with guests from around the game. Prizes will be given out throughout the evening! 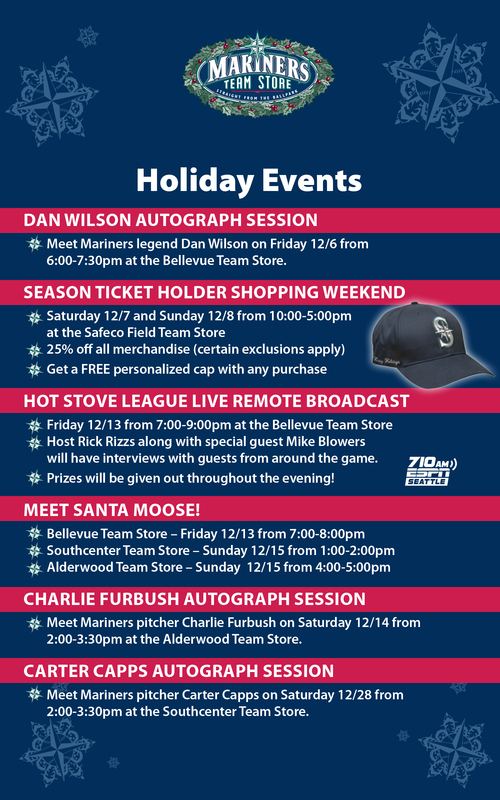 Meet Mariners pitcher Charlie Furbush on Saturday 12/14 from 2:00-3:30 pm at the Alderwood Team Store. Meet Mariners pitcher Carter Capps on Saturday 12/28 from 2:00-3:30 pm at the Southcenter Team Store.